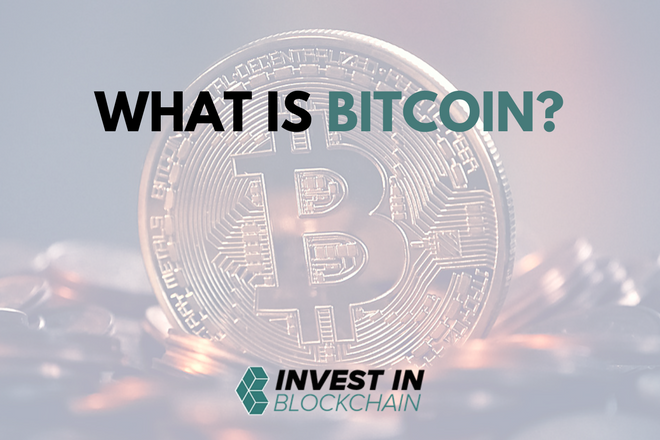 If you’re new to cryptocurrency, your first question is probably “what is Bitcoin?”. The short answer is that Bitcoin is a cryptocurrency or digital asset made secure by cryptography. Bitcoin and most (but not all) other cryptocurrencies use blockchain technology. This article will answer the common questions that newcomers have when first learning about Bitcoin. How do blockchains work? What makes Bitcoin valuable? What is decentralization? What is mining? How do you buy Bitcoin? How do you safely store it? How do you send or receive Bitcoin from somebody else? But we won’t just stop there. Once you get the basics down, we’ll also explain how hard forks work, like the one that created Bitcoin Cash. Finally, we’ll wrap up with a look towards the future of Bitcoin and how the network can potentially scale up to handle a transaction volume that’s orders of magnitude larger than it does today. There may be blockchain-related terms in this article that you are unfamiliar with. If you come across some, don’t worry about understanding immediately. Keep reading and see if the context helps clear things up. If you want to make sure you understand everything more thoroughly, you can also refer our guides to essential blockchain and cryptocurrency terms. There are many different cryptocurrencies out there that serve different purposes. Bitcoin is the first and most well-known cryptocurrency, but not all cryptocurrencies necessarily resemble Bitcoin. At its most fundamental level, a cryptocurrency is simply a peer-to-peer digital payment system. Another way to say peer-to-peer is that there is no middleman – specifically banks or financial institutions – that facilitate transactions. For a more in-dept explanation, read our article What is Cryptocurrency?. Now, on to Bitcoin! Let’s start from the beginning: Satoshi Nakamoto and the genesis block. The Bitcoin whitepaper was published in 2008 by a pseudo-anonymous author named Satoshi Nakamoto. It was the first time ever that somebody put together the ideas of a digital currency and blockchain technology. People have been speculating about the true identity of Nakamoto ever since. As the original Bitcoin miner, he is known to have amassed approximately 980,000 bitcoins. Those coins have remained untouched for years, and it seems likely that they will forever stay out of circulation. Satoshi Nakamoto was last heard from way back in early 2011. Many have tried to find him since, but to no avail thus far. Even while Nakamoto’s real identity remains a mystery, his creation lives on. Notably, the first block Nakamoto mined – called the genesis block – contained a message. It said, “The Times, 3 January 2009, Chancellor on brink of second bailout for bank”. This references a news article about the government bailouts of banks during the 2008 economic recession. It is widely accepted to be a political statement by Nakamoto about the reason Bitcoin was created – to disrupt the financial institutions that have long controlled our economies and livelihoods. Bitcoin first began gaining some significant adoption in 2011. Wikileaks and other organizations began accepting Bitcoin donations, and it was mentioned occasionally in pop culture. By 2012, there were over 1,000 merchants accepting Bitcoin. 2013 saw Bitcoin starting to gain its first real mainstream attention and its price crossed the $1,000 threshold for the first time. Then, in February 2014, Mt Gox, the largest cryptocurrency exchange at the time, filed for bankruptcy after having 744,000 bitcoins stolen. Still, more and more businesses began accepting Bitcoin, including tech giants Microsoft and Dell. 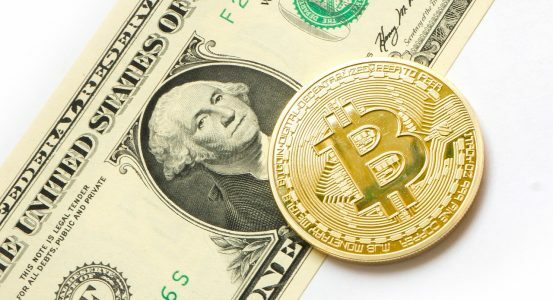 What Makes Bitcoin Different From Fiat Currencies? Fiat currencies have been used as humanity’s primary medium of exchange for hundreds of years. For most of that time, currencies were backed by gold. However, that slowly changed during the 20th century, with many countries being forced off the gold standard as a result of the Great Depression. That leaves the question: what are fiat currencies backed by now, if not gold? The answer, essentially, is that currencies are backed by trust in the institutions governing them. Nowhere is this stated more clearly than with the US Dollar, which is said to be backed by the “full faith and credit” of the US Government. Alright, let’s get back to Bitcoin. As Bitcoin isn’t backed by any other commodities, its value – like that of fiat currencies – is based on trust. The innovation that makes Bitcoin possible is blockchain technology. A blockchain is a digital ledger of information that can be easily distributed across a network. It is what makes Bitcoin accessible to anybody with internet access, anywhere in the world. Each block in a blockchain contains data. In the case of Bitcoin’s blockchain, that data has to do with transactions. Once a block is added to the blockchain, it can never be removed or otherwise altered in any way. Bitcoin transactions, once validated, are permanent. New transactions are processed and validated by miners. More on how mining works later. For now, let’s focus on the benefits of blockchain that help separate cryptocurrencies from fiat currencies. Most systems that govern human society are centralized. Governments, banks, and corporations are typically structured such that the majority of the decision-making power is concentrated at the top. Large databases are typically stored and maintained in data centers at only one or two locations. 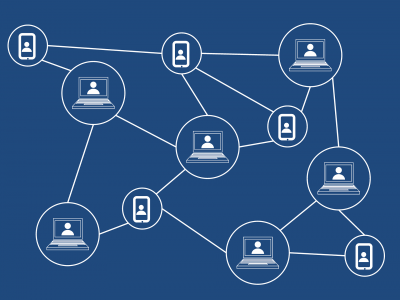 Blockchains enable us to run systems without concentrating power over those systems in the hands of a small fraction of the populations that use them. They enable us to store databases simultaneously in hundreds or even thousands of different locations. This is called decentralization. Why is decentralization such a big deal? In database terms, decentralized systems have improved security because they do not have a single point of failure. In other words, if a handful of the locations storing a blockchain suddenly go offline for some reason, there are still hundreds of others doing the work. The system continues on without so much as a hiccup. Of course, many centralized systems still have good security. Is there more to decentralization than just distributing databases? Yes, there is. With centralized systems, we are all forced to trust other human beings to ‘do the right thing.’ But what if the right thing for them isn’t the right thing for you? Sure, we can hope that the people in power have integrity, but that isn’t always going to be the case. The most rational expectation to have of others is that they will act in their own best self-interest, as that’s what human beings do. 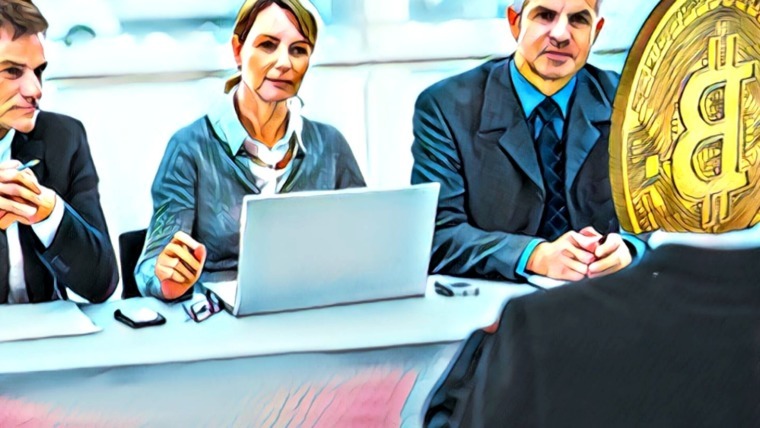 Decentralized systems are designed so that every participant can act in their own best self-interest within the system without harming other participants. The corruption, greed and incompetence that pervade our ancient centralized systems simply don’t have as strong a place in decentralized ones. It is not necessary to trust anybody else to ‘do the right thing’ – this is called trustlessness. No individual has power or control over the system. This is what makes blockchain technology truly revolutionary. Who or What Operates the Bitcoin Network? Bitcoin may just be a bunch of computer code, but it still takes humans to run that code. More accurately, it takes humans to build and maintain the machines that run the code. These machines and the people who operate them are called miners. Perhaps the most critical obstacle that Satoshi Nakamoto needed to navigate when designing Bitcoin was figuring out how to get miners to run the network without giving them additional power to control it. With game theory in mind, Nakamoto devised a brilliant solution. True decentralization isn’t possible unless the system is designed with the right incentive mechanisms for participation. A blockchain minus the incentives is just a distributed digital ledger, minus the trustless security. Let’s say a corporation wants to use a blockchain to improve their supply-chain management. A distributed digital ledger would be helpful to efficiently connect various manufacturers, warehouses, and stores. But each computer that stores the corporation’s blockchain would be owned by the corporation. They don’t have to worry about malicious actors in their network. Therefore, they don’t need to incentivize all the participants to behave in the best interest of the system. For real decentralization, that’s not the case. Miners that process transactions need incentives to do so honestly. Otherwise, they could add invalid transactions to the blockchain, giving themselves more money. Let’s go deeper into Bitcoin’s powerful incentive mechanisms for miners. Blockchain miners have the role of processing new transactions and minting new digital coins. They do this by periodically adding new blocks containing transactional data to the blockchain. Individual miners compete to find the solution to a difficult cryptographic puzzle. Once the solution is found, the miner is able to propose a new block to add to the end of the blockchain. When a block is proposed, other miners check whether it is valid or invalid. If invalid transactions are found, the other miners won’t accept the block as part of the blockchain. If the block is valid, the other miners will add it to the blockchain and begin competing to propose the next block. It’s possible for blockchains to fork into multiple sections during this process. Two valid blocks might be proposed almost simultaneously, or perhaps some percentage of the miners will purposely accept an invalid block to benefit themselves. However, there is only one valid blockchain – the longest chain with the most blocks. For example, let’s say that a group of 250 miners teamed together, representing 25% of the overall mining power on the network. Now imagine that those miners decide to try to benefit themselves dishonestly by posting invalid transactions. One of the 250 who solves the cryptographic puzzle first would propose a block with the invalid transactions, and the other 249 would accept it and begin adding more blocks to it. Meanwhile, the remaining 75% of miners would not accept the block. Instead, they would be adding to a chain of valid blocks. 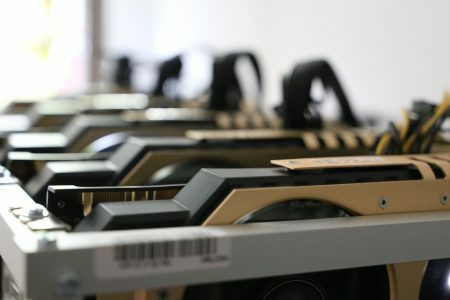 Having three times the mining power of the dishonest group, the 750 would add new blocks to their branch of the blockchain three times as fast. That would give them the longest chain, accepted by all users. The other chain would become worthless and no users would accept it. In order to successfully propose an invalid block and have it added to the longest blockchain, one would need to control 51% of the mining power. Anything short of that, and the malicious activity will be unsuccessful. Let’s recap all of that really quickly. Miners cannot have the ability to change previous blocks. Miners cannot add new blocks to the blockchain if they contain invalid transactions. Because previous blocks are made unchangeable through clever cryptography, miners don’t have the ability to alter past transactions in order to give themselves more money. Miners do, however, have the ability to propose a new block to the blockchain even if it contains invalid transactions. What they don’t have is an incentive to do so. That’s thanks to two incentive mechanisms: Proof-of-Work (PoW) mining and block rewards. The idea behind Proof-of-Work is to make it extremely expensive to mine, discouraging malicious mining activities such as posting blocks with invalid transactions. And, to the contrary, the idea behind block rewards is to make it profitable to mine if you do so honestly. Let’s start with explaining how Proof-of-Work, well, works. The Bitcoin protocol has built-in computational wastefulness. That means that an extremely high percentage of all the computation that a Bitcoin miner does isn’t actually necessary to process transactions. But all of that computation requires electricity just the same as the useful computation. Electricity consumption costs money, making it expensive to mine. The purpose of that wastefulness is to disincentivize miners from being dishonest. If mining was cheap, there’s not much stopping somebody from attempting to post an invalid transaction to the blockchain and giving themselves a lot of money. If it fails, they don’t lose much. If it succeeds, they gain a lot. The trade-off is certainly worthwhile. Instead, because it is expensive to mine, every malicious attempt comes at a significant cost. That cost serves as a deterrent from even trying to post malicious transactions. As we learned in the previous section, a malicious miner will only achieve success with their attack if they control 51% of the mining power. Therefore, there needs to be an incentive for every honest miner to always use their full mining power so that gaining control over 51% of the total mining power is as expensive as possible. That incentive is the block reward – the newly-minted digital coins that a miner receives when they propose a block to the blockchain that gets accepted and becomes part of the longest chain. It’s important to know that a miner only makes money when they propose a block that gets accepted by the other miners. At all other times, the miner is losing money. The probability of a miner proposing a new block is roughly the same as their proportion of the overall mining power. For instance, a miner with 1% of the total mining power in the network will propose about 1% of the blocks. If a miner doesn’t use their full mining power, the odds that they will propose the next block go down, and their projected revenue along with it. Likewise, if a miner proposes a new block but it doesn’t become a part of the longest chain, they do not earn any money from that proposal. That’s a lot to take in, so let’s summarize everything really quickly. First, we know that it is very expensive to mine Bitcoin. We also know that the only way miners can turn a profit is by solving cryptographic puzzles quickly so that they can propose new blocks to add to the blockchain. Those blocks will only be added to the longest chain if they don’t contain invalid transactions (assuming malicious miners don’t control 51% or more of the mining power). It follows, therefore, that miners who want to maximize profit will use all of their available computation power and will only propose valid blocks. In this way, self-interested miners are incentivized to behave honestly, and Bitcoin is trustless. Hopefully, at this point, you’re starting to understand why Bitcoin and blockchains are so often called ‘revolutionary’. Now, let’s try to clear up another common question that people have about Bitcoin. What Determines the Value of an Individual Bitcoin? How is the value of a bitcoin determined? The answer is the same as for any other asset, digital or physical: supply and demand. Importantly, Bitcoin’s supply is very carefully controlled. The rate at which new bitcoins are mined decreases by half after every 210,000 blocks that are mined. When Satoshi Nakamoto started mining, the block reward was 50 BTC. In November 2012, that was cut to 25 BTC. It halved again, to 12.5 BTC, in July 2016. The next halving event is projected to take place in June 2020. There is an upper cap on the amount of bitcoins that will ever be mined, which is exactly 21 million. Nearly 17 million already exist, but the last bitcoin is not projected to be mined until the year 2140. It’s also worth noting that an estimated 2 million bitcoins have been lost and aren’t likely to ever recirculate, meaning that the true supply is even lower than what has been mined. Meanwhile, the demand for Bitcoin is a product of its usability and people’s awareness about it. 2017 saw the latter of those two factors really take off, and that’s why the dollar value of bitcoin skyrocketed. However, much of that increase in value was based more on speculation than increasing utility, which contributes to Bitcoin’s extreme volatility. Okay, that’s enough theory for now. Let’s talk about how Bitcoin actually works in practice. Suppose that Alice wants to send one bitcoin to Bob. What would it take for that transaction to be successful? First, Alice needs to own at least one bitcoin. This bitcoin would be stored in her wallet, which is simply a set of public and private keys. The public key is the wallet address. You can share this address without compromising the security of the wallet’s contents. In fact, Bob would have to share his public key with Alice in order to receive bitcoin from her. The private key also plays a part in the transaction. This is what gives Alice, and only Alice, access to the contents of her wallet so that she can send bitcoin to Bob. If somebody else gains access to Alice’s private key, they can also gain access to her bitcoins. To send her bitcoin to Bob, Alice would input Bob’s address into the recipient address box. She would then specify the amount she wishes to send and attach an extra amount to pay the transaction fee. Then she sends the transaction to the blockchain and waits for it to be validated by miners. Miners validate the transaction by checking if Alice’s wallet has the full amount of bitcoin that she is attempting to send. If it does, the transaction is valid and the record of the transaction will be added to the blockchain, showing that Bob’s wallet now owns the bitcoin that Alice sent him. If Alice were to then try and send bitcoin to Carol, the miners would again check to see that her wallet contains enough to cover the specified amount. Supposing that she doesn’t have enough bitcoin after her transaction with Bob, the transaction with Carol would be invalid and would not be added to the blockchain. The Bitcoin blockchain does not actually keep track of information about each bitcoin. Rather, it keeps track of information about each Bitcoin wallet. When Alice sends Bob a bitcoin, the blockchain simply updates the amount of bitcoin in each of their addresses. The bitcoin itself doesn’t specifically exist; there is just a record of how much bitcoin is in every Bitcoin wallet at any given time. That might sound strange at first, but it’s no different from our other financial databases. When you transfer money from your bank account to a friend’s account, there is no physical movement of money happening. Your bank is simply updating the new, lower amount remaining in your account. Your friend’s bank is simply updating the new, higher amount in their account. One dollar in your bank account is worth the same as one dollar of cash. The only difference is that you physically possess one, while you digitally posses the other. Bitcoin eliminates your ability to physically possess it, as it doesn’t physically exist. However, it enhances your ability to digitally possess it, because your private key gives you direct access to your wallet contents instead of that access being controlled by a bank or other centralized institution. Being new to Bitcoin, you might still be unfamiliar with how it’s actually being used around the world. We’re going to list just 5 ways to use Bitcoin, but there are plenty more. As an investment – Due to its capped supply, more people learning about and using Bitcoin would lead to increased demand, driving the price up over time. That’s why many people decide to buy some bitcoin and hold on to it long-term. To pay for goods and services – There are hundreds of online stores that accept bitcoin, including Dell, Overstock.com, Expedia, Pizza Hut, and Virgin Galactic to name a few. 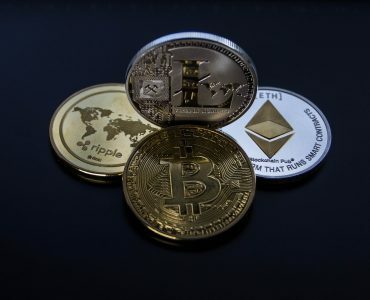 To support charities – With so many people making personal fortunes as early cryptocurrency investors, the global crypto community has become very philanthropic. One anonymous Bitcoin holder has even pledged to donate $86 million in BTC to charity. To educate others – Ideas like decentralization have a real chance to make the world a better place. There’s no better tool than Bitcoin to start spreading awareness about how amazing this technology is. 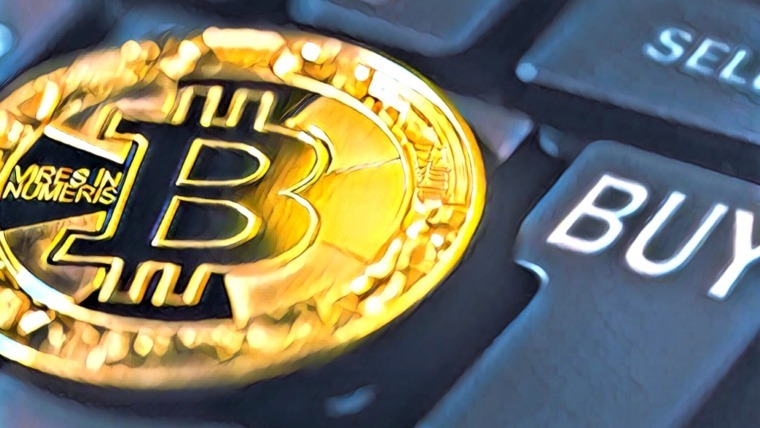 To gamble – If investing in Bitcoin isn’t enough of a gamble on its own, there are also lots of online gambling sites that operate on bitcoin. If you’re interested, a quick google search of ‘bitcoin gambling’ should yield plenty of results. Buying bitcoin isn’t all that different from exchanging any regular fiat currency for another when traveling internationally. You need to find a place that accepts both currencies, pay a fee for the exchange, and that’s about it. Of course, you’re not likely to find a currency exchange station offering bitcoin exchanges at the airport. Instead, your best bet is to create an account with a trustworthy exchange online. Which exchange to use will depend on your location. In the United States, the biggest exchange is Coinbase. They added Euro pairs not too long ago, so Europeans can try out Coinbase as well. Another option is Bitstamp. As for the considerable cryptocurrency market in Asia, major exchanges include Japanese-based bitFlyer and South Korean-based Korbit. Different exchanges have different requirements for signing up. Some, like Coinbase, may require you to verify your identity before making any transactions. Others may have no such requirements. 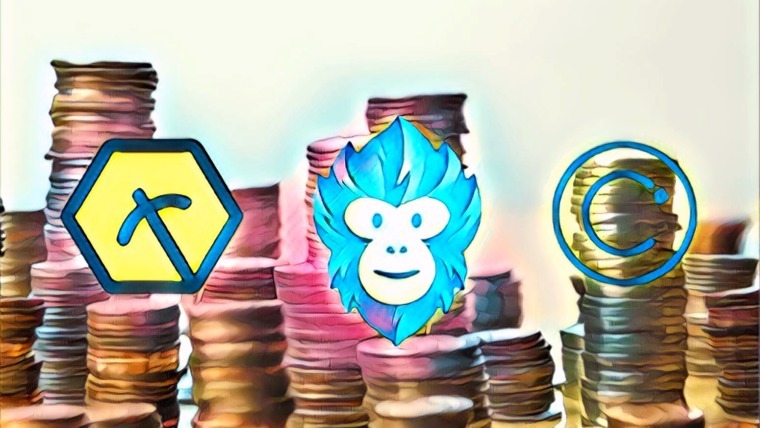 We’ve done the hard work of evaluating the best cryptocurrency exchanges in the market today. If none of the exchanges listed above work for you, you still have plenty of other options. Just head over to Buy Bitcoin Worldwide, and enter your country and preferred payment method. Check out our article for a step-by-step guide on how to buy Bitcoin. Before moving on, we’d like to dispel one common misconception people have about buying bitcoins, which is that you can only buy whole coins. In reality, bitcoins are divisible into 100 million pieces. At its current value, you can still buy an amount equivalent to 1/50th of a US$0.01 worth of bitcoin. So if not being able to afford a full bitcoin was the big thing holding you back, go ahead and buy some mBTC! You may not have ever carried out a cryptocurrency transaction before, but you’ve probably done a bank transfer or two, right? If so, cryptocurrency transactions will be a walk in the park. And if not, well, they’ll still be a walk in the park! Enter the bank account number of the recipient and possibly the last name on their account. Include a memo for your accounting purposes. The structure of a cryptocurrency transaction is essentially the same. Instead of a bank account number, you’ll enter the wallet address (public key) of the recipient. In addition to the amount you’re sending, you’ll include a separate amount for the transaction fee. This amount is usually set for you by the bank when you do a bank transfer, but with cryptocurrencies you can set your own fee. There will often be a recommended or default amount that you can leave as is if you’re okay with it. If you want to make sure your transaction processes as quickly as possible, you could raise the transaction fee a bit to incentivize miners to include your transaction in the next block. If the transaction isn’t time-sensitive, you might lower the fee a bit to save money, and wait for a miner to include it in a future block when there is low transaction volume. Did you copy and paste the recipient wallet address correctly? Is the transaction fee correct? If you are sending a large amount for the first time, it’s often a good idea to send a small test amount to the same address first. Sure, you have to pay an extra transaction fee, but it can be worth it to be absolutely sure that you’re doing everything correctly. Unfortunately, this has become much less affordable to do with Bitcoin as transaction fees have increased significantly. But for most other cryptocurrencies, it will still only cost you a couple of cents. Dealing with Bitcoin and other cryptocurrencies means dealing with cryptocurrency transaction fees, so be sure to know the fees involved before confirming any transactions. Once you have successfully purchased bitcoin, you have the choice of how to store it. There are basically two categories of cryptocurrency wallets: hot or cold storage. The main difference between the two is that hot storage wallets are in some way connected to the internet, while cold storage wallets are completely offline. You can think of this in terms of a bank’s total funds versus the amount they store in cash. A bank with $10 billion in capital isn’t going to store that $10 billion in a vault at the physical bank location. That would make them a huge target for thieves. Instead, the bank would keep some small fraction of their total capital – say $1 million – at the actual bank, and the rest would just be digitally tracked in their databases. That $1 million in cash is similar to hot storage. It’s protected by the bank security and by the vault, but it’s still possible to be stolen in the event of a robbery. Hot storage wallets, or software wallets, are secured by at least a password, if not by 2-factor authentication (2FA) using an app like Google Authenticator. However, as long as they are online, they are susceptible to hacking. Cold storage is similar to the remaining $9.999 billion dollars that the bank doesn’t store physically. A thief stealing money from cold storage is practically impossible. Cold storage wallets, or hardware wallets, are still secured by a password, but are completely offline. 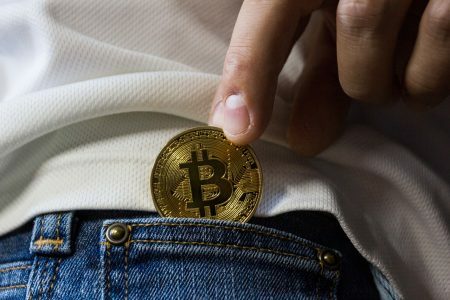 For somebody to steal your crypto assets from a hardware wallet, they would need to gain possession of the physical wallet and your password. For long-term holders, cold storage wallets are the obvious answer for better security. For shorter-term investors and traders, hot wallets offer more convenience to constantly move assets around. What’s best for you will depend on your personal circumstances and needs. There are tons of options for software wallets. Some of the most common options for Bitcoin are this one by Blockchain.info and the one offered by Coinbase. There are also some software wallets which can be taken offline, commonly called desktop wallets. Popular options include Exodus for computers and Mycelium for mobile devices. As for hardware wallets, the top two choices are Ledger Nano and Trezor. Advantages of Bitcoin – What Makes Bitcoin Valuable? Again, Bitcoin is a purely digital asset. There is no physical, tangible bitcoin. It’s not backed by gold, US dollars, Euros, or any other traditionally valuable asset. So how is it worth anything? Bitcoin is durable. A currency must be able to stand the tests of weather and time. If you’ve ever pulled some paper bills from your pocket after putting your clothes through the wash, then you understand why durability is important. In the case of Bitcoin, every coin survives for as long as the network survives. Bitcoin is scarce. The creation of new Bitcoin is controlled by code and there will only ever be 21 million bitcoins in existence. Bitcoin was designed to be a deflationary currency. Look at government-backed currencies like the Venezuelan bolivar or the Zimbabwean dollar which have become hyper-inflated, and it’s clear why having a capped supply of Bitcoin is important. Bitcoin is transferable. Alice can send some of the bitcoin she owns to Bob if she chooses to. This transaction happens on a distributed blockchain network, whereas a traditional bank transfer occurs on a centralized network. 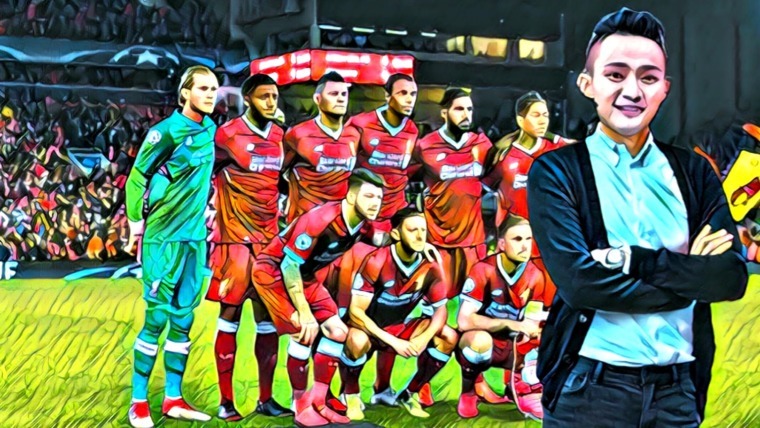 Otherwise, these two types of transfers aren’t all that different. Bitcoin is divisible. You can buy, sell, or transact with fractions of a Bitcoin. Bitcoin subunits are called Satoshis, where 1 Satoshi = 0.00000001 ฿. That means that a single bitcoin can be divided into 100,000,000 pieces. You can think of satoshis like cents for US dollars and Euros or pence for British Pounds. Bitcoin is fungible. 1 bitcoin is worth the same as every other bitcoin at any given moment. Well, to be accurate, there are often price variations from one cryptocurrency exchange to the next. However, the main point is that the Bitcoin network treats every bitcoin equally, and doesn’t care about its fiat value. 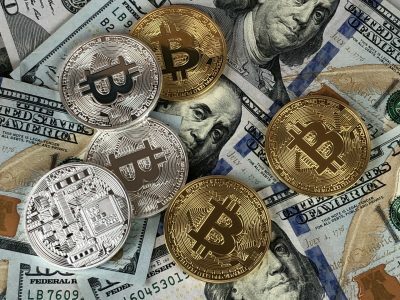 If you analyze how fiat currencies stack up to Bitcoin based on these 5 properties, you’ll notice that Bitcoin is at least as good, if not better, in almost every case. The one property that is lagging behind now is transferability. That’s because there are more people who want to carry out Bitcoin transactions than there is network throughput to process them all. It’s a big problem, and one that many developers are trying to solve. More on that later. Before moving away from this topic, there’s still another question we should ask: why would people want Bitcoin? Since Bitcoin meets the basic criteria for being a currency, its value as one is a function of supply and demand. So what is driving the demand? This question actually has several good answers. First is that Bitcoin stacks up well against fiat currencies in the 5 properties discussed above. Bitcoin is more durable and scarce than fiat currencies. It’s at least as fungible, though you could argue it’s also more fungible as it’s impossible to counterfeit. It’s currently more divisible than fiat currencies, and it’s possible to update the protocol and increase the divisibility in the case that bitcoin increases significantly in value. As for transferability, transaction throughput may be a problem for now, but it’s still possible to send bitcoin to anybody in the world in less time than it takes to make a bank transfer. So even that comparison is favorable to Bitcoin. Of course, what truly sets Bitcoin apart from fiat currencies is the main consequence of blockchain technology that we discussed earlier – decentralization. You know how we talked about all the wasteful computation that Bitcoin miners have to do in order for the network to be decentralized and trustless? There is another downside to that Proof-of-Work that we haven’t really talked about yet, and that’s slow transaction throughput. The problem Bitcoin is facing now is that miners can only process between 3 and 4 transactions per second on average. That was enough transaction throughput to keep the network running smoothly for most of Bitcoin’s short existence. However, the volume of transactions has been steadily growing for years, and it finally began exceeding that 3 to 4 transactions per second threshold during 2016. As a result, Bitcoin transaction fees have been going up significantly. We’re talking about an increase from $0.08 per transaction on average in January 2016 to about $25 per transaction in January 2018. In its current state, using Bitcoin to transfer money is not guaranteed to be cheaper than banks. And that’s a real issue. Fortunately, there are multiple solutions. We’ll explain a couple of them in these last few sections of the article. Blockchain protocols are not permanently fixed to stay the way they were when originally written. With consensus, they can be changed and upgraded to function more effectively. This versatility is how cryptocurrencies earn the description ‘programmable’ money. Not surprisingly, there are times when communities can’t come to a consensus about changes to the protocol. 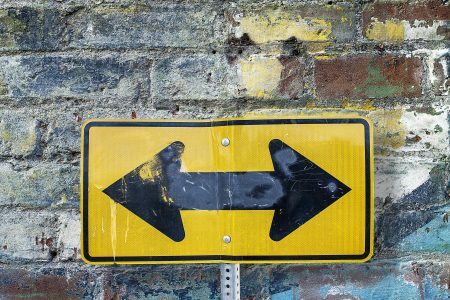 When two factions of a cryptocurrency community disagree about such changes, one of them can execute a hard fork. A hard fork occurs when developers make changes to the blockchain protocol such that nodes must upgrade their mining software to continue mining that blockchain. In other words, the mining software that’s used to mine the original blockchain will no longer work to mine the new fork of that blockchain. Bitcoin Cash is the most well-known hard fork of Bitcoin. However, there have been many others including Bitcoin Silver, Bitcoin Gold, Bitcoin Diamond, and so on. It is possible to have a hard fork without creating a new currency. This occurs when the community comes to a consensus about protocol changes and all of the miners agree to upgrade their mining software. It is also possible to have a ‘soft’ fork. This occurs when changes are made to the protocol that don’t require miners to update their software in order to keep mining on the blockchain. When you are holding a cryptocurrency at the time of a hard fork, you’ll receive an amount of the new coin equal to the amount of the original that you were holding at the time of the fork. For example, if I was holding 1 Bitcoin at the time of the Bitcoin Cash fork, I would have 1 Bitcoin and 1 Bitcoin Cash after the fork. This is because Bitcoin and Bitcoin Cash have identical blockchains up until the fork occurred, at which point they diverged. Once the hard fork occurs, the currencies are completely separate. Anything you do with one of them will not impact the other. Bitcoin Forks – What is Bitcoin Cash? The simplest way to increase Bitcoin’s transaction throughput is to increase the amount of data stored in each block on the blockchain. Bitcoin Cash is basically a replica of the Bitcoin protocol with an 8 MB block size instead of 1 MB. This increases transaction throughput by about 8x, resulting in lower fees and shorter wait times for Bitcoin Cash transactions. The reason that Bitcoin Cash was created is that Bitcoin developers and users couldn’t reach a consensus on whether or not increasing the block size was a good decision. Those in favor of it wanted to reduce fees back to pre-2016 levels as quickly as possible, while those against it worried that it would lead to more centralization in the future. The reason that more centralization is a possibility for Bitcoin Cash is that its blockchain size is now growing about 8x faster than Bitcoin’s. Every node (miner) in the network must store the entire blockchain. When the blockchain grows to several terabytes in size, it will require every miner to have higher storage capacity. That increases the cost to mine, which could possibly make mining less feasible for some of the current miners. Whether or not this will actually result in more centralization of mining is debatable. Well, it depends on who you ask. Most experts in traditional finance are understandably reluctant to buy into Bitcoin. Many believe it is a massive bubble, waiting to be popped at any minute. That being said, it’s pretty clear that many of those same traditional finance experts haven’t put in the time and effort to understand what cryptocurrencies are and how they work. Those who do understand Bitcoin tend to, on average, view it a bit more favorably. However, you’ll be hard-pressed to find an investor who doesn’t see Bitcoin as an extremely high risk investment. Differing opinions are more centered around whether or not that risk is worth it. This paper by long-time institutional investor John Pfeffer makes a compelling case in favor of investing a small percentage of your net worth into Bitcoin and planning to hold for 5 to 10 years. The cryptocurrency that’s most valuable in the future will be the one that serves as a store of value, taking market cap from gold, USD, EUR, etc. Bitcoin has a large head start as the “store of value” coin, making it far more likely to win that market than any other cryptocurrency. If Bitcoin becomes the world’s predominant store of value, its market cap could potentially go as high as the US$5 – $15 trillion range. If the probability of Bitcoin reaching that potential is greater than 5% – which Pfeffer believes that it is – it is rational to invest some small percentage of your portfolio into Bitcoin. Putting all of your money into an investment as risky as Bitcoin is certainly inadvisable. However, if there is some small fraction of your portfolio that you can afford to have a high risk tolerance on, Bitcoin may be a good option for you. Is Bitcoin Better Than Other Cryptocurrencies? If only picking the best investment was as simple as picking the best technology, this question would have a straightforward answer. There are lots of newer cryptocurrencies that – from a technological standpoint – are superior to Bitcoin. There are coins with much faster transaction throughput, much less environmental impact, and far better governance. There are also coins, like Ethereum, that have an order of magnitude more applications than Bitcoin. Whether any of these coins will someday overtake Bitcoin, though, is still anybody’s guess. 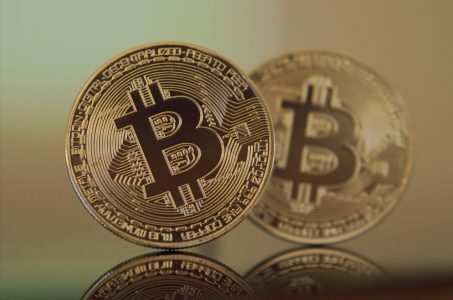 Bitcoin’s first-to-market advantage and name recognition shouldn’t be discounted, as they have been significant factors for its growth thus far. And it may not have all the applications and utility of others, but Bitcoin’s single biggest application – store of value – is arguably the most important one. Ultimately, even the most educated of investors are still uncertain. You’ve done the work to read this far, now it’s just a matter of whether you believe Bitcoin can succeed and what you’re willing to risk in the hope that it does. For those of you who are interested in learning more about other top cryptocurrencies, our Top 50 Cryptocurrencies post is a great place to start! Hopefully, Bitcoin transaction fees and wait times aren’t going to be this high for much longer. Many developers are working to implement a solution for scaling Bitcoin called the Lightning Network. This is a layer-2 scaling solution, meaning that the scaling isn’t occurring on the blockchain itself, but on a second layer that is connected to the blockchain. The Lightning Network enables low fees and near instantaneous microtransactions in Bitcoin. Critically, those transactions are as trustless as the ones that occur on the actual Bitcoin blockchain. People have high hopes that the Lightning Network will make Bitcoin more usable as a currency again. Whether it will actually work out that way or not remains to be seen. Ultimately, the best way to describe Bitcoin’s future at the present moment is ‘uncertain’. On the one hand, Lightning Network could be robust and successful, and Bitcoin could pass some critical threshold of adoption that sends it soaring to the moon. It’s not at all impossible that we could see bitcoins worth upwards of $100,000 each in the future. At the same time, it’s possible that people could lose their faith and patience in Bitcoin, and it could come plummeting down. You can throw money at any random cryptocurrency and come out looking like a genius in this crazy bull market. But if one thing is certain, it’s that another bear market will eventually come. When it does, you can bet that most of the hastily-developed and over-hyped projects today will fail and disappear. Perhaps trusty old Bitcoin will continue to persevere against all odds, as it has been doing for the last 9 years. Do you have any other questions about Bitcoin? Let us know in the comments! Hey Daniel, This is a phenomenal article. Super detailed, thought out and well written. Great work. Thanks Jacob, it’s great to get that kind of positive feedback! Daniel, I learned a lot from this well-written, easy to understand article! Great job. I will forward this to friends too.